Ships so loud they can be heard 100 miles away, malfunctioning drones, and armored vehicles too big to fit into transport aircraft are signs of “gaping holes” in UK defense capabilities, according to an investigation by the Sunday Times. The Royal Navy’s Type 45 destroyers are so loud they can be heard by enemy submarines a hundred miles away, according to Rear Admiral Chris Parry, a former director of operations at the Ministry of Defence (MoD), told the publication. While Russia has invested in new, Kilo-class submarines, nicknamed ‘Black Holes’ in the West because they are so quiet, the MoD has not taken appropriate measures to silence their own vessels, the report says. The Type 45 ships also suffer from engine problems, causing them to break down in warm water, and will need to have new diesel engines installed, which experts estimate will take around nine years. And despite costing £1 billion ($1.25 billion) apiece, Parry told the times that anti-submarine defenses have been ignored in favor of anti-aircraft and anti-missile systems, leaving the ships vulnerable. Type 26 frigates had their price tag overblown and the whole project delayed when the Navy asked for the vessels to be installed with helipads for SAS Chinook helicopters. At the reviewed cost, the number of ships in development has fallen from 13 to 8, the report says. 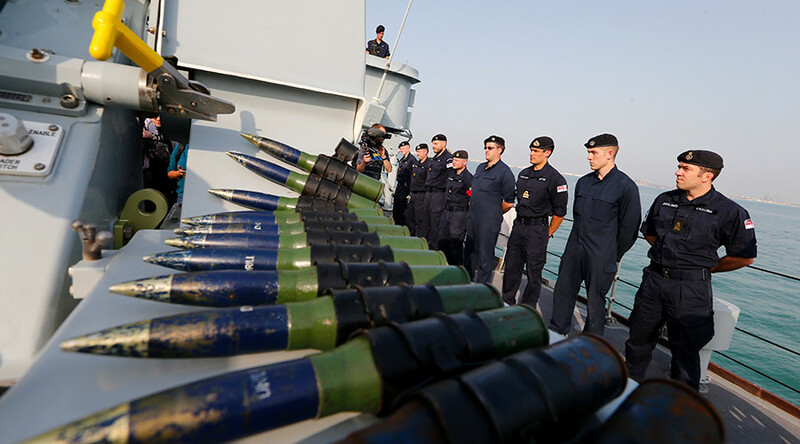 The cost of specialized warships and submarines is always high, as the MoD only uses a small number of contractors, said General Sir Richard Barrons, a former commander of Joint Forces Command. “If you buy your submarines from one place – and it’s an act of industrial policy as well as sovereign security that you do that – then you are going to pay a premium. That’s a fact of life,” Barrons said to The Times. The Navy is not the only institution struggling to get value for money. 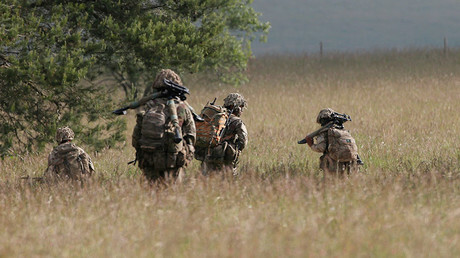 The Army’s 54 Watchkeeper reconnaissance drones, which cost £1.2 billion and were ordered 12 years ago, still haven’t entered active service, as they keep malfunctioning, while their new fleet of Ajax light armored vehicles, costing £3.5 billion, are too big to fit into Royal Air Force (RAF) transport planes without being dismantled, which hinders their rapid deployment capabilities. The RAF too is facing hardware difficulties, as their new £3 billion spy planes cannot perform all their assigned tasks and are vulnerable to cyber-attack, according to American experts. 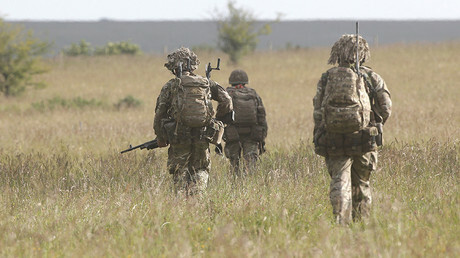 The MoD is running over-budget and has to make savings of around £6 billion over the next decade to pay for its new equipment plan. A recent report from the National Audit Office says the budget shortfall is exacerbated by the fall of the British pound, triggered by the Brexit vote in June 2016. The British pound hit a 31-year-low earlier in January amid fears of a ‘hard’ Brexit, wherein the UK gives up access to the European common market in exchange for fuller control of its borders. The pound sterling has dropped as much as 20 percent against the US dollar since Britain voted to quit the EU last June. If the pound continues its downward trend, it could add a further £3 billion to the MoD’s equipment plans.